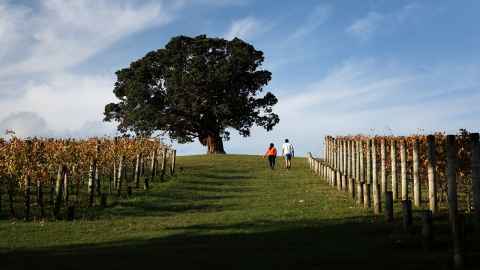 Goldie Estate Homestead is located in the heart of the Goldie Estate vineyard on Waiheke Island. 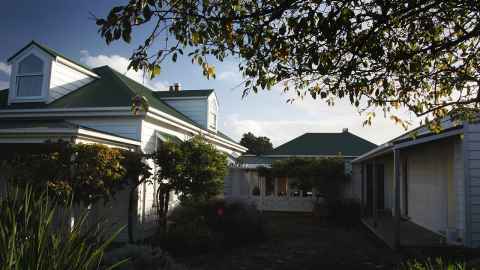 The Goldie Estate Homestead offers accommodation for 10 students enrolled in the Wine Science programme on Waiheke Island so that students can enjoy a realistic winery experience. There is an on-site contact for emergencies, and an area manager and administrator who are available during office hours. 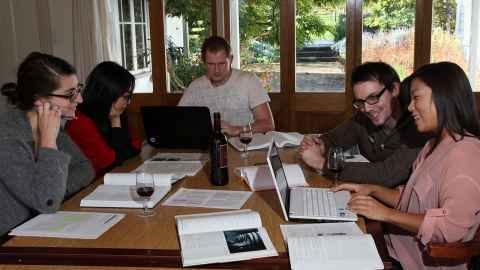 Student type Wine Science students only. The nearby suburb of Ostend offers a range amenities including: Countdown supermarket, Medical Centre, cafes, fruit and vegetable market, and takeaways. The Goldie Estate Deli and Cellar Door are located next to the Homestead. Visit the website for current opening hours. 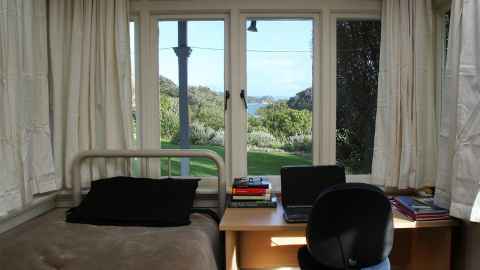 Location 18 Causeway Road, Surfdale, Waiheke Island, Auckland. Distance to Matiatia wharf 5.1km (15 minutes by bus). Full Academic Year (38 weeks and 2 days). The Homestead comes with kitchen and lounge furniture. Each bedroom comes with a bed, wardrobe, desk, chair and heaters. Residents share bathroom facilities. When offers are made, students will receive offers for twin- share rooms only. The area manager will allocate the two single rooms at their discretion from those who originally indicated a preference for a single room. Residents provide their own bedding and linen. Alternatively a bedding pack can be purchased from our online accommodation shop before arrival. Power, water, internet, and laundry is included. Waiheke Island: A Complete Guide. Fact Sheet - Goldie Estate Homestead. Size: 309.0 kB. Type: PDF. Download this PDF file. Size: 309.0 kB.